Cobalt Alloy Tipped. Thin Kerf Band Saw. Thin Kerf Band Saws are commonly used on portable band mills and on re-saws. 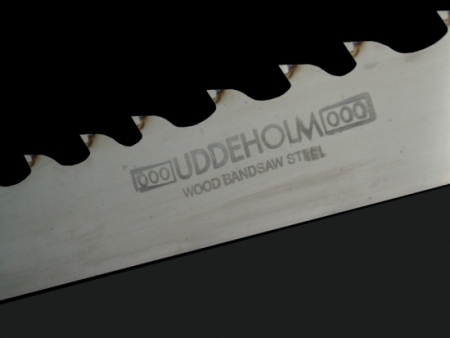 These types of blades are used for both log break down and for remanufacturing lumber into smaller or finished sizes. These saws give their users a competitive edge over their competitors by allowing them to produce and put more lumber in their lumber piles and less sawdust in their sawdust piles. Thin Kerf Band Saws increase recovery, and that increases profitability. Stays sharp longer. Means fewer saw changes per day and straighter lumber. Cobalt Alloy Tipped Thin Kerf Band Saws - Washington 2"
Cobalt Alloy Tipped Thin Kerf Band Saws - Oregon 1.5" & 2"